Apple cider vinegar pills are a popular health supplement that many people use to lose weight and for other health benefits. Capsules containing apple cider vinegar may help to control appetite, regulate blood sugar levels, and lower cholesterol. Most of the research into the amazing benefits of apple cider vinegar has been on its liquid form. Although many reviews of apple cider vinegar supplements are positive, there has been little research into their benefits. One of the reasons that apple cider vinegar (ACV) pills and tablets have become more popular is because of their ease of use. For many people, it’s easier to take ACV supplements 2-3 times a day than dilute raw apple cider vinegar in a glass of water to drink. Also, apple cider vinegar pills don’t have the strong sharp taste that regular cider vinegar has. Can apple cider vinegar pills help you lose weight? In this article I’ll discuss all the benefits of apple cider vinegar and its possible side effects. You will also find out if you can take apple cider supplements for other health complaints like candida infections, acne, or bacterial vaginosis. Apple Cider Vinegar Pills or Tablets – What Are They? Depending on the brand, apple cider vinegar pills or tablets may also contain other ingredients or fillers. For example, some popular ACV supplements list magnesium stearate, cellulose, talc USP, or silicon dioxide, and the capsules may be made from gelatin. Are apple cider vinegar pills for weight loss helpful and can they help in maintaining a healthy weight? People use the apple cider vinegar diet to help shed extra pounds and improve their digestive system. There is actually evidence-based research into the effectiveness of apple cider vinegar in assisting with weight-loss programs. However, these studies were done on liquid apple cider vinegar and not on manufactured supplements. Therefore, it is difficult to say with certainty if taking apple cider pills would have the same effect on losing weight. Let’s look at some of the scientific studies that have linked an apple cider vinegar diet with weight loss. The most interesting study on how apple cider vinegar helps with weight loss was published in 2009 in the Bioscience, Biotechnology and Biochemistry journal. The study found that consuming just 2 tbsp. of vinegar (such as apple cider vinegar) for just three months can cause significant weight loss. The study found that apple cider vinegar can also help you lose abdominal fat (belly fat), reduce waist circumference, and decrease blood triglycerides. There is also evidence that apple cider vinegar can help lower blood pressure. So, when answering the question: “can apple cider vinegar pills help you lose weight?”, there is evidence that apple cider vinegar in its liquid form may help lose extra pounds. It could be that some apple cider vinegar pills could also have benefits in losing weight. This is why many ACV supplements advertise the amounts of acetic acid that the capsules contain. The apple cider vinegar diet is all about adding diluted apple cider vinegar drinks to your daily food intake. There is no standard dose for the apple cider vinegar diet, but many people recommend taking 1-2 tablespoons apple cider vinegar diluted in a glass of water once or twice a day. For some people, the best time to drink apple cider vinegar to lose weight is just before a meal. Or, some prefer taking a glass of diluted cider vinegar first thing in the morning to help kick-start their day. Of course, apple cider vinegar itself is not a magic pill to lose weight with no effort at all. The benefits of apple cider vinegar to lose weight are best felt when used as part of a weight loss plan. The effects of supplementing your diet with apple cider vinegar are more noticeable when combined with regular exercise and reducing your daily calorie intake. Some people also take a combination of apple cider vinegar and garcinia cambogia for speedy weight loss. Capsules and pills containing apple cider vinegar may help you lose weight as part of an ACV diet plan. In fact, for many people who find the sharp taste of apple cider vinegar difficult to stomach, apple cider vinegar diet pills may be their answer. For people who prefer apple cider vinegar in pill form, there are various types of ACV weight-loss pills on the market. For example, many apple cider supplements contain between 400 mg and 800 mg apple cider vinegar which may be equivalent to about 2 or 3 teaspoons of liquid. Some supplements advertise that their pills contain 35% acetic acid. In fact, user reviews of high-quality apple cider vinegar pills often mention the beneficial effect of the supplements on losing weight. Can apple cider vinegar diet pills help you lose weight? If certain brands of apple cider vinegar diet pills have the same effect as the liquid form, then they should help you lose weight. However, because these supplements are not regulated by the U.S. Food and Drug Agency (FDA), it can be difficult to know exactly what is in the pills. If apple cider vinegar diet pills are your method of choice, then it is a good idea to read other’s reviews. Although many reviews on the benefits of apple cider vinegar pills can be mixed, you should be able to get a general idea of their effectiveness. Apple Cider Vinegar Pill as a Supplement vs. Liquid – Which One is Better? One of the benefits of adding apple cider vinegar to your diet in liquid form is that you know exactly what you are getting. For example, Bragg’s apple cider vinegar is made from organically-grown apples and only includes natural ingredients. You can also regulate the dosage of apple cider vinegar to your taste. It is also processed in accordance with USDA guidelines. However, when it comes to apple cider vinegar pills as a supplement, it is more difficult to get a clear picture. 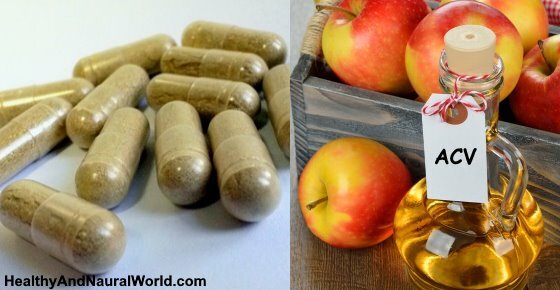 If you are wondering whether to use apple cider vinegar for weight loss as a supplement or in liquid form, here are some pros and cons of ACV pills. One drawback of using apple cider vinegar pills for their purported health benefits is cost. For example, a bottle of the popular Bragg’s version of apple cider vinegar (like this one) costs around $10 for a 32 fl oz (946ml) bottle and may last up to 1 month in an ACV diet. However, a month’s supply of ACV capsules (like this one) may cost around $15 and it’s impossible to know what exactly you are getting. Many people believe that most of the health benefits of apple cider vinegar are in the mother. However, cider vinegar in pill form doesn’t contain this and so you don’t get all the health benefits. Apple cider vinegar supplements may contain unnecessary fillers and ingredients that affect the supplement’s potency. For some people, taking apple cider vinegar tablets to lose weight outweigh some of the drawbacks of taking liquid ACV. The acidic nature of cider vinegar means that long-term use could affect your tooth enamel. The journal Clinical Laboratory reported that vinegar has a potential to cause tooth decay.8 However, many who drink diluted apple cider vinegar to boost their health prevent this by drinking through a straw or rinsing their mouth with water after. For many people, the taste of liquid apple cider vinegar is unpalatable and therefore they opt for ACV pills rather than diluted drinks. In fact, the sour taste of apple cider vinegar drinks is often mentioned in reviews as a reason for choosing supplements over the liquid variety. However you can mix the apple cider vinegar drink with honey to make it taste better and enjoy even more health benefits. For many people, the convenience of taking apple cider vinegar pills in their diet outweighs any benefits of apple cider vinegar in its raw form. This allows people who are trying to lose weight regularly to take ACV supplements throughout the day. Apple cider vinegar has many surprising benefits for your health and general well-being. So, if you are using apple cider vinegar to help speed up weight loss, you may find you experience other benefits. In fact, in reviews of apple cider vinegar pills, many users say that taking the ACV supplements regularly has helped to reduce symptoms of acid reflux. For more information on how to get rid of kidney stones naturally, please read my article on how apple cider vinegar can treat kidney stones. The antimicrobial and antifungal properties of apple cider vinegar mean that it is a natural treatment for candida infections. A study from 2008 found that acetic acid in certain vinegars can destroy strains of candida.11 For more information, please read my article on how to use apple cider vinegar for yeast infections. It has to be noted that the research was about using apple cider vinegar topically. There is no evidence that taking apple cider vinegar internally in liquid form or as a pill supplement has any effect on vaginal or oral candidiasis. In my article on how to use apple cider vinegar for treating acne, you can find out how to use it to kill off acne-causing bacteria, reduce skin inflammation, and dry out pus-filled pimples. You can use the medicinal properties of apple cider vinegar to treat the symptoms of bacterial vaginosis. As already mentioned, apple cider vinegar can help to kill off topical infections. However, in cases of vaginal bacterial infections, apple cider vinegar can help to reduce pH levels and prevent vaginal itching. Unfortunately, there is no evidence to show that ingesting apple cider vinegar can help with bacterial vaginosis. However, you can read about how to use liquid apple cider vinegar as a home remedy for bacterial vaginosis. When choosing the right apple cider vinegar pill, it’s important to check a number of factors and see beyond the advertising hype. What should you look for if you choose to use apple cider vinegar supplements to lose weight? Reviews. Always read users’ online reviews of each specific product. For example, you may notice benefits of using ACV pills that others have had. Or, you could see that certain products have a 4 or 5-star rating from people who have purchased them. Ingredients. Some apple cider vinegar supplements have a number of added ingredients that may or may not be useful. For example, some ACV pills to break down fat contain other ingredients like globe artichokes or dandelion. Other supplements may contain cayenne pepper, kelp powder, or vitamin B6. Powdered or liquid form. Most apple cider vinegar pills come in powdered form. Dosage. You should also look at the recommended dosage and the number of ACV capsules contained in the tub. A large tub containing 90 capsules of 500 mg that you take 3 times a day may not be as cost-effective as one that contains 60 high-strength capsules that you take once a day. Price. Remember that the cheapest isn’t always the worst and dearest isn’t always the best. Compare reviews and dosage amounts of various apple cider vinegar pill brands to find the best one you can afford. Eur J Clin Nutr.2005 Sep;59(9):983-8. J Agric Food Chem.2009 Jul 8;57(13):5982-6. J Diabetes Res. 2015; 2015: 175204. J Am Diet Assoc.2005 Jul;105(7):1141-4. Adv Wound Care (New Rochelle). 2015 Jul 1; 4(7): 363–372. ASUEdu. Is apple cider vinegar effective for reducing heartburn symptoms? J Mass Spectrom. 2011 Mar;46(3):313-9. doi: 10.1002/jms.1894. There are many benefits of drinking ACV and honey and you can read about them in my article “16 Proven Health Benefits of Apple Cider Vinegar and Honey (Research Based)“. Braggs only sells liquid ACV (not in a pill form). If you want ACV in a pill form try a health food store or online.